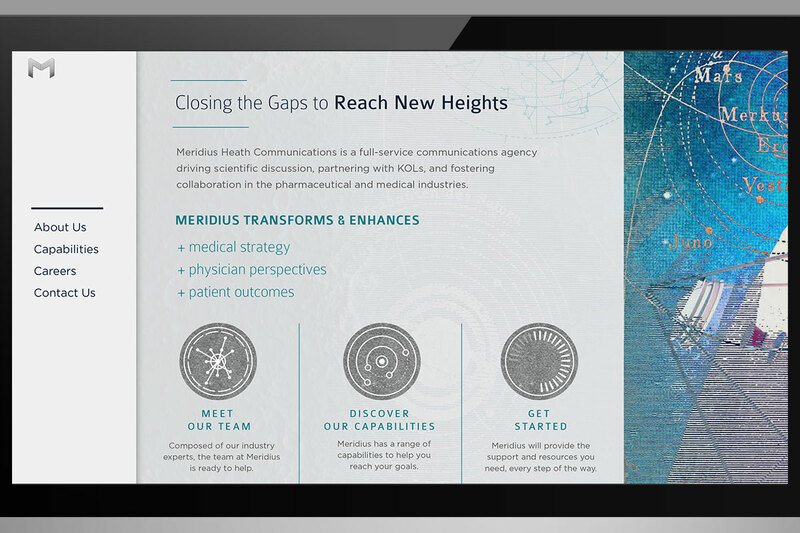 Meridius Health Communications is an agency that drives scientific discussion, partners with key opinion leaders, and fosters collaboration in the pharmaceutical and medical industries. 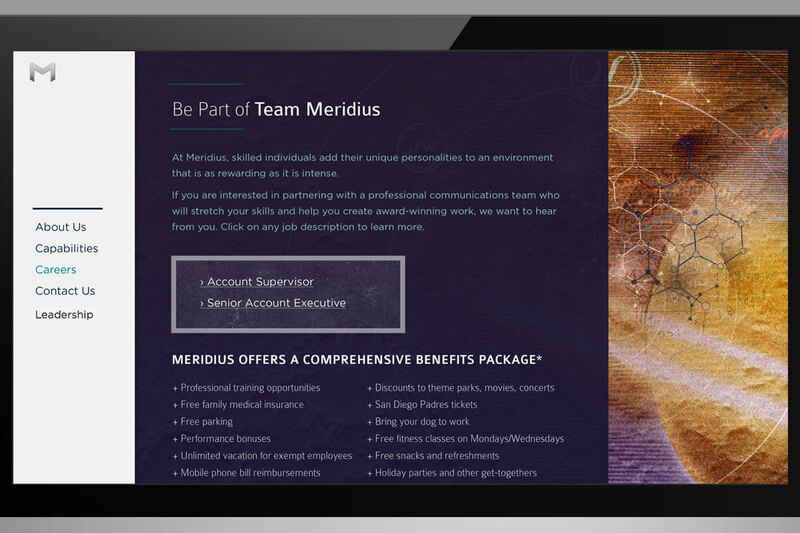 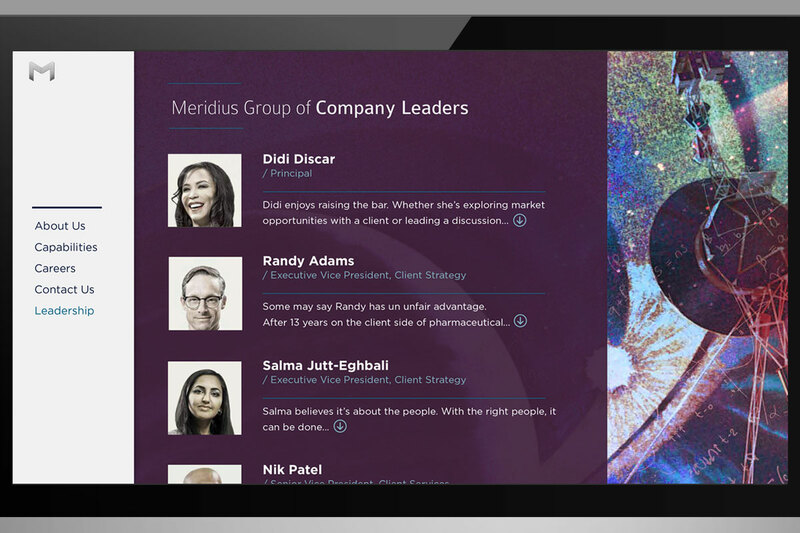 Because Carling Communications is the parent company of Meridius, my goal was to create the Meridius website by incorporating some aspects of the space-age branding and structure from the Carling website. 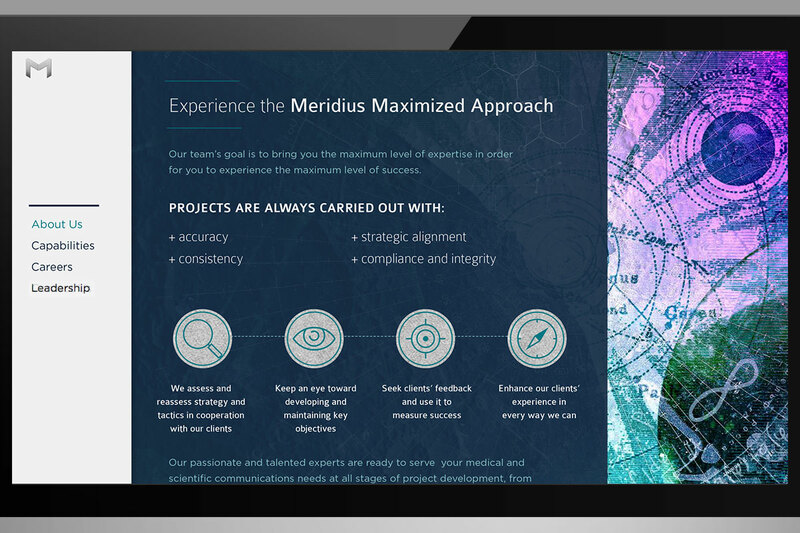 This site successfully provided informative content while giving a creative scientific impression.